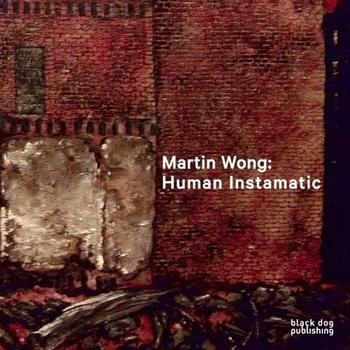 "Fervor, desire, and coded insider-outsider knowledge crackle [in Martin Wong: Human Instamatic]" - Wong "paint[ed] it from the heart, which is where the Bronx show comes from." Martin Wong: Human Instamatic explores the paintings of Martin Wong, a collection that fuses the kitsch and decorative with a gritty realism. Martin Wong was a painter whose vision is among the lasting legacies of New York's East Village art scene of the 1980s and a precursor of the identity-driven work of the 1990s. Known as the “human instamatic” for his rapid portrait painting skills, which he offered for $7.50 a painting, Martin Wong was encouraged to move from the San Francisco Bay Area art scene to New York. In the heyday of the East Village, where the local styles tended toward graffiti art, neo-Expressionism and late Conceptualism, Wong carved out a territory of his own. His art was as culturally complex as his appearance, which was usually distinguished by a Fu Manchu mustache and a cowboy hat. Wong had a degree in ceramics and expertise in such diverse areas as Asian painting, calligraphy and decorative arts. An active collector of everything from American antiques to the gift shop souvenirs of San Francisco's Chinatown, he eventually donated his extensive collection of graffiti art to the Museum of the City of New York. Wong's estate is administered by the PPOW Gallery in New York. Martin Wong: Human Instamatic is in partnership with The Bronx Museum of the Arts.